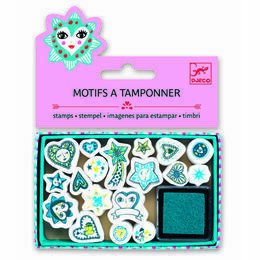 Stamp to your hearts content with this set of Djeco mini stamps. 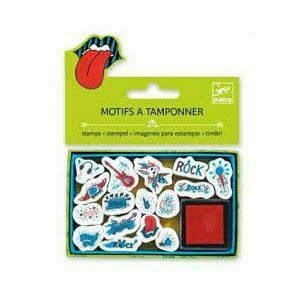 With a music/rock theme, the set includes 16 stamps and 1 ink pad. 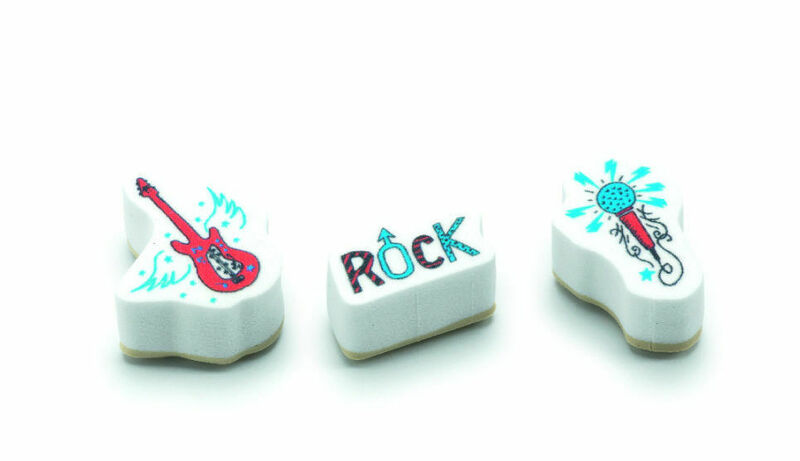 The stamps feature different musical illustrations for rock chicks and dudes. 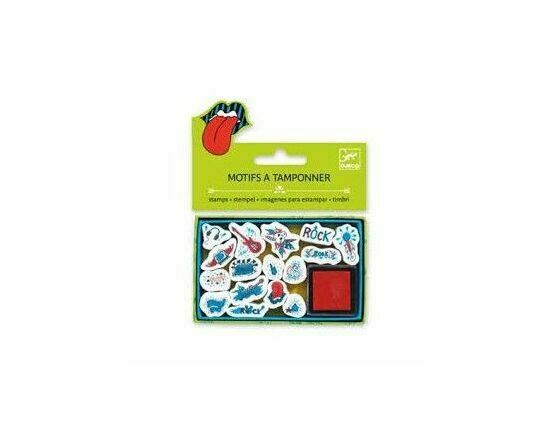 A great little stocking filler or party bag favour.